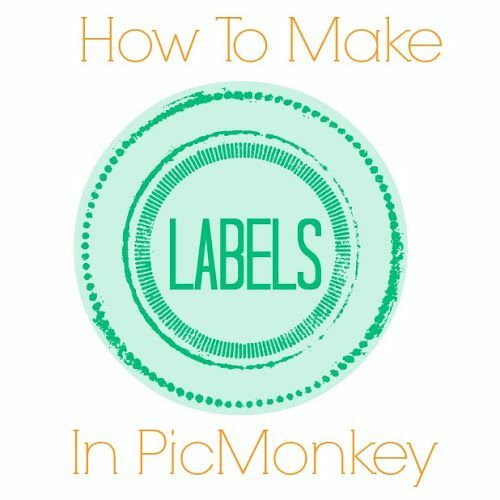 Picmonkey is an online resource for editing photos, creating collages and graphics, making your own watermark, invitations and much more! Not only will you learn Picmonkey photo editing with these Picmonkey tutorials, but you’ll also learn how to make so much more with it! If you have been around here for long enough, you may have heard me chat about Picmonkey – the way I edit pictures online. But the question is, what all can it really do? The short answer: everything. The long answer: collages, recipe cards, labels, tags, and so much more…. First things first, right? Head to PicMonkey. If you don’t already have an account, go ahead and create one. PicMonkey used to be free, but with upgrades you can buy. Now, it does cost $5.99 a month to use the service. In my opinion, it’s completely worth it. If you’re not sure though about going ahead and signing up for a paid account, I totally get it. You can do a free trial by clicking here. Now, onto actually using PicMonkey. Here are some basic PicMonkey tutorials. 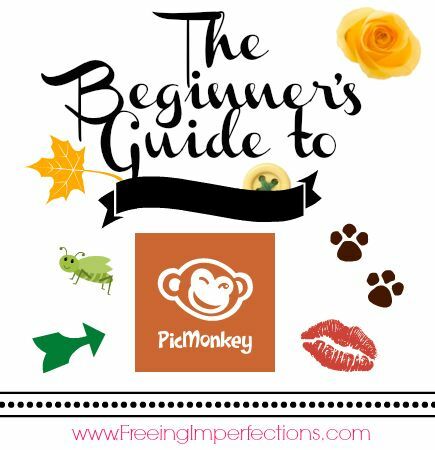 If you haven’t done much with PicMonkey before, then you should probably start with this beginner’s guide. This Picmonkey tutorial from We Lived Happily Ever After is a great guide for editing not only baby photos but other photos as well. Seriously, look at that photo! Gorgeous! This gal knows her PicMonkey! Ummm, seriously, do you see the difference in those two photos? Yes, people. PicMonkey can do that with its photo edits. Creative Cain Cabin will show you how to make these 30 second edits. 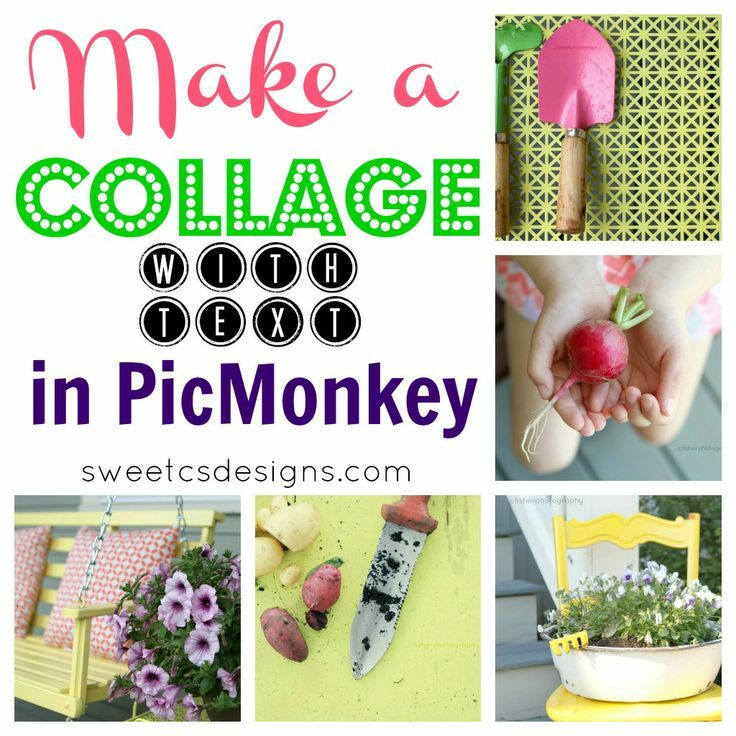 Sweet C Designs has the deets on making collages with Picmonkey. 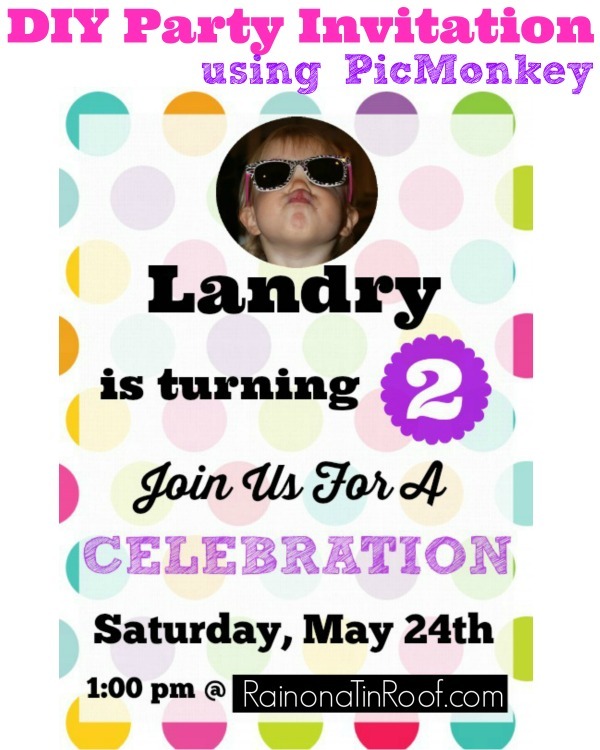 For the kid’s second birthday, I made this fun party invitation on PicMonkey. 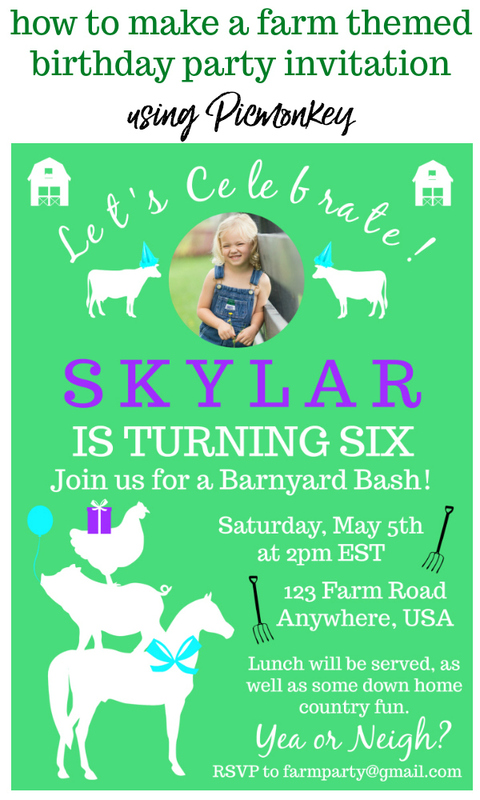 We had a farm themed party for another one of the Circus’ birthdays and I made this farm themed birthday invitation for it. 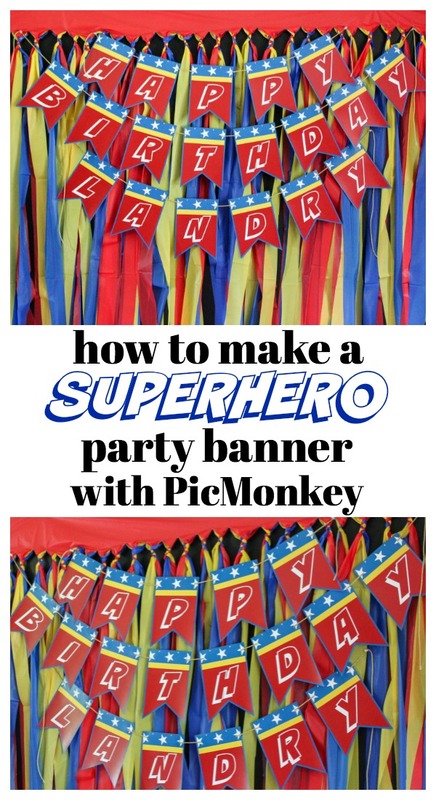 When the Circus had a superhero party, I made this customizable superhero banner for the party. 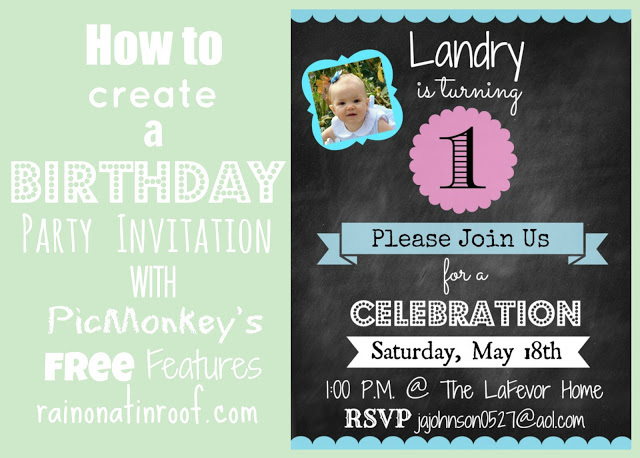 Last year, for the kid’s blue and pink 1st birthday party, I created her invitations in Picmonkey. Christmas cards can be so expensive. Why not use Picmonkey to make your own and save a lot of dough? When I was working on my master bedroom makeover last year, I needed new wall art, but didn’t want to spend a lot of money. I ended up making my own DIY Wall Art. 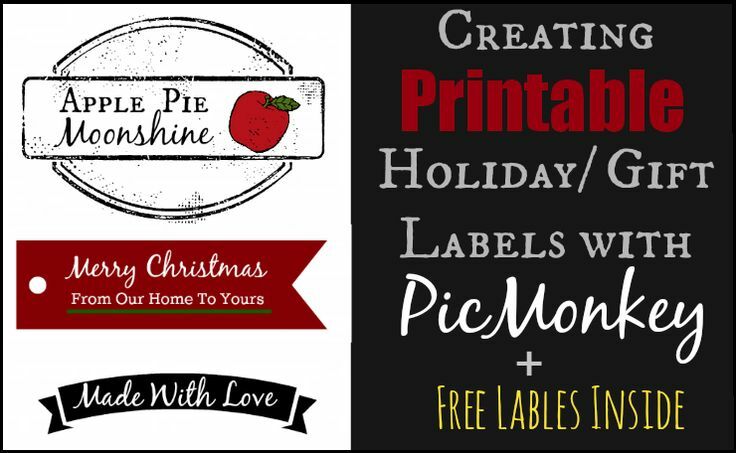 Blissful Roots will show you how to make your own labels in Picmonkey. Anyone else have a hot mess of a recipe box? Please don’t say its just me! 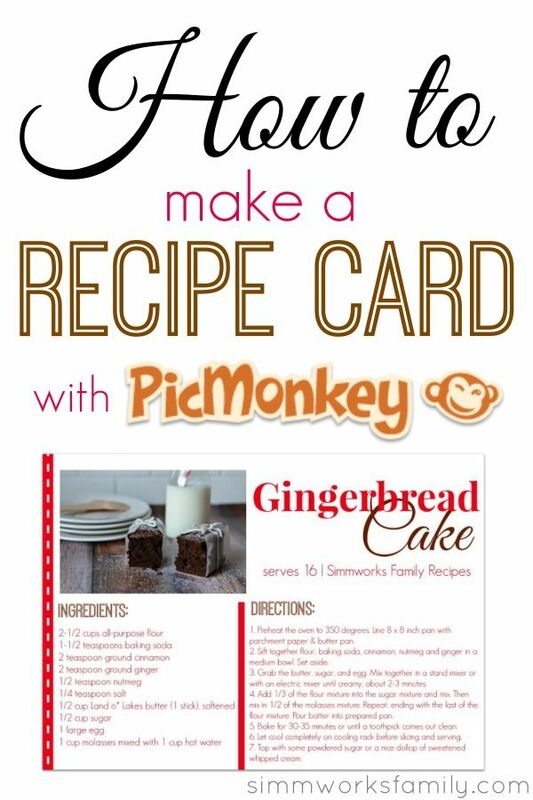 Find out how to make a recipe card here and tame that hot mess! Don’t buy labels or gift tags again! Make your own with this tutorial from The Importance of Being Reese. 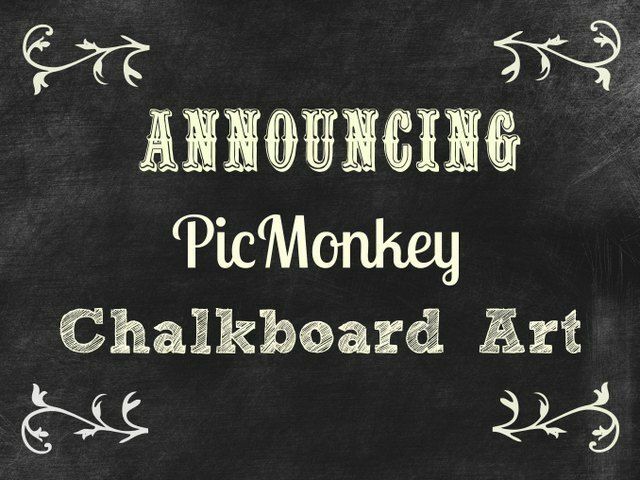 Here’s another great tutorial for creating chalkboard art from House of Hawthornes. 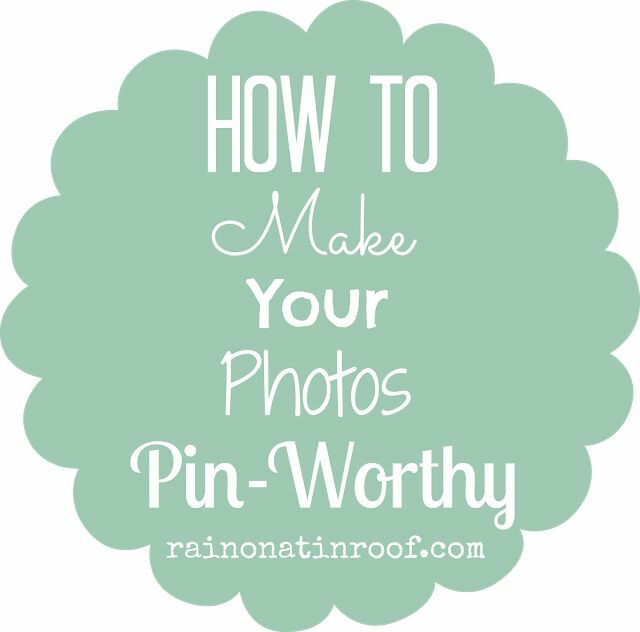 Making your photos pin-worthy is super important for bloggers. These are my tips I use when editing photos with PicMonkey. Honey We’re Home has a great tutorial for creating favorite things graphics. I love this tutorial on creating a custom and transparent watermark. 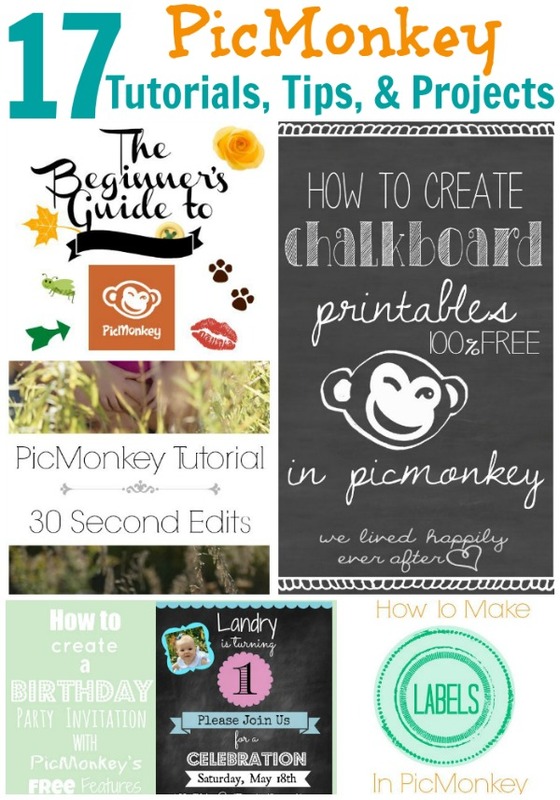 Are you ready to dive in and learn how to use Picmonkey so that you can follow some of these PicMonkey tutorials? Thank you! I am going to look all of this over again. I use PicMonkey but have wanted to learn how to use everything it has to offer. This was very helpful! I use PicMonkey and this is fabulous, I was learning as I go so this is really helpful! Thank you!!! SO helpful! Thanks very much. Pinning and added it to Sverve. Have a great day! What a great resource! I love picmonkey and even though I got PS Elements for Christmas I haven’t learned how to use it yet. I’m sure there’s lots of new stuff to learn here! What a great compilation of things that can be done with Pic Monkey! This is my go-to site for all photo editing. I refuse to pay for Photoshop. Haha! I’m so glad you posted this! 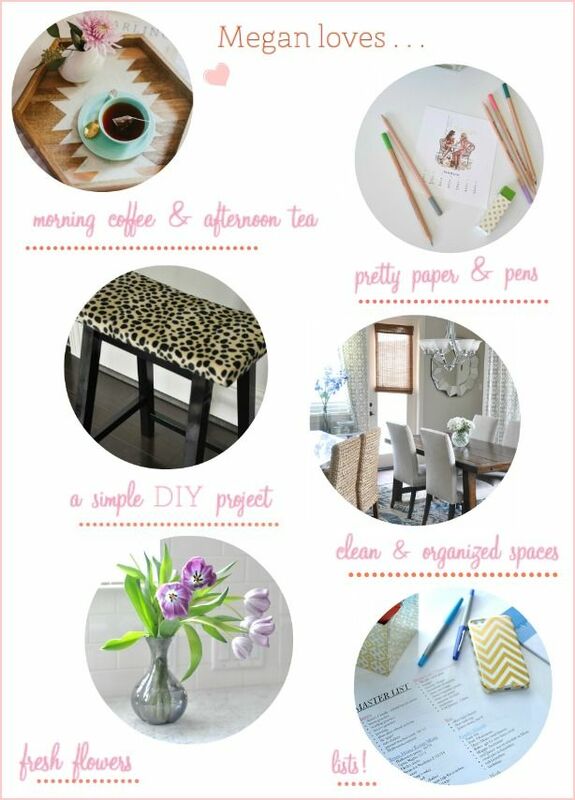 What a wonderful round up of all PicMonkey has to offer! 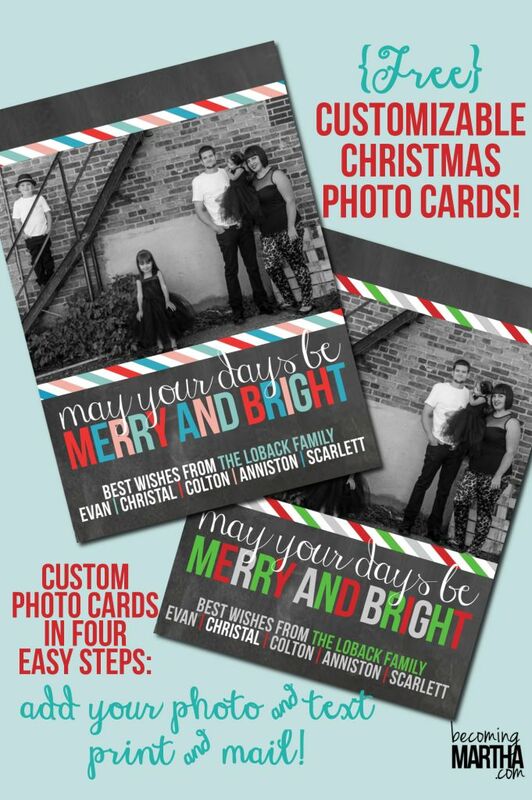 I love how you can make your own invites and Christmas cards! And it’s so easy! Thanks for the collection Jenna- pinning and will definitely have to check out the tips. Thank you for this, it is just what I need. I’m a photoshop user and still have no idea what I am doing half the time. I have been using PicMonkey since it first hit the scene for quick fixes. I love that I don’t have to open separate software for it. But, as I aim for better food photos there are things PM can’t do compared to Photoshop and Lightroom. But, it is well worth the use for free and for paid for all that you can actually do with it! Thank you for this roundup of great tutorials! Chrystal, I tried using Photoshop to edit photos for a while and I just could not get the hang of it. I had to give up!!! I love me some PicMonkey! These are such great tips !! thank you for sharing ! This is awesome girl! Love all these tutorials in one place, thank you! Thank you so much for all your helpful info. It’s helped me quite a bit while starting my own blog. I’ve spent months working on my layout and what not and just started promoting it. Here is my problem-I edit my photos in picmonkey and I’ve looked over and over on how to size them correctly for pinterest and can’t find anything. Any suggestions? They just are so small when I pin them but they are large on my blog. I’m glad it was helpful, Chandra! Ok, on your photos – the key to getting more repins on Pinterest is having a vertical image that is your Pinterest worthy photo. Are you taking vertical photographs or horizontal ones? If you are on PicMonkey’s royale features, you can also make a collage using their Pinterest – Etsy friendly vertical collages – those are great for Pinterest. That’s the format I use on most of my collages. I’ve searched PicMonkey’s frequently asked questions and can’t find an answer Perhaps you know, is there any way to save an unfinished project and go back into it without having to start over? Once I save my work, it’s no longer editable, but sometimes I need to make additional edits. Did you figure it out, Cassy? Hey Cassy! The way you would have to do it is create the art, save it, don’t close out of PicMonkey, edit the wording, save it as a different file, and repeat for as many variations as you need. Thanks Jenna. I hate to ask so many questions. But, it takes me about an hour to create the art. So, I would need to know the list of names and do them all at one time? Once I exit out of the program– I cannot go back to a saved file and edit ? I should just try a small scale fiel.. ad play. Shouldn’t I ? You are fine, Cassy! Yes, that is right Cassy. There isn’t a way to save an image on PicMonkey’s database and then come back and edit it. I LOVE this post. I am trying to figure out what apps I should REALLY have for my blog and I think this is one of them. Thanks so much for sharing. Yes, Jillyn! Unless you are great with PhotoShop, I highly recommend PicMonkey! You will be SOOOO proud of me!!!!! I used Picmonkey the other day to make the food tags for my husband’s surprise birthday party coming up!!! shhh…. You gave me the courage to try something new as I am new to this whole blogging world. It’s slightly overwhelming sometimes but soooo super fun! Thanks for posting this. I am using Picmonkey because of you!!!!! If I can do it… anyone can… SERIOUSLY! That is AWESOME to hear, Jillynn! Get it girl! PicMonkey is so much fun – the possibilities are endless! 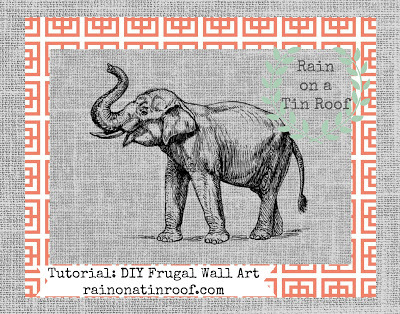 I found this via my Pinterest feed, which I clicked on and it brought me back to your blog (ok, I get it and that’s fine) but then when I clicked on your blog, I expected to be taken directly to the tutorials on PicMonkey, but instead it directed me back to your Pinterest board. Sorry, at best, it’s not very helpful and at worst it’s really annoying, comes across as dishonest and feels like all you want are clicks and that you don’t care about providing what you say you are providing. I hope you rethink some of your marketing ‘strategies’ because they feel like ploys. I will go find things on Picmonkey myself and will steer clear of your blog and your Pinterest account. Hello! The tutorials are on this page – its just in a slideshow format. If you look at the bottom right corner of the first image, you will see an arrow button to advance to the next image and link to that tutorial. The link for each tutorial is under its corresponding image in the slideshow. Thanks! I’m stuck in an endless loop of seeing the pin, clicking on it to read it and not being able to see or access any content, just another option to pin it. I’m so sorry about this. It looks like something is wrong with the slideshow on this post. I’m going to look into it and figure it out. Thanks so much for letting me know about the issue – I really appreciate that! This is an amazing collection of all things “Picmonkey”. Thank you for sharing this.. I know this blog post is older but I am so glad that I found it.. Thank you for the valuable information!! Jenna this is great. I had no idea how to use this site and glad to have the tutorials. Oh good, Stephanie! It is such a great site!! So much you can do with it!